It rained non stop from the time I left Gulf Shores, Alabama until I got to Pensacola, Florida. Pensacola was one of the many places where my Mom lived after my brothers and I moved back to South Dakota with our Dad. Her free spirit gene must have been past on to me since I am now on my own life’s quest. I remember that she loved Pensacola and only left because of Hurricane Ike’s devastation. So after re-aggravating a foot injury in Memphis I got the idea to head south to explore Mom’s favorite place. As I rolled along the coast I could see why she loved it. Even in the heavy rain the white sandy beaches were beautiful! I had a strong consideration sloshing around my brain to run the beach in the rain. That idea got squashed when I came across the National Naval Aviation Museum on the Navy Base in Pensacola. I spent the day walking around the large museum filled with historic planes from WWI to present. Just as the sun was about to set, the pounding rains trickled to a sprinkle for about ten minutes which opened to a beautiful sunset. Watching sunsets in Florida was my moms favorite thing to do. Catching the the beauty of a sunset in one of her favorite places made my journey that much brighter! 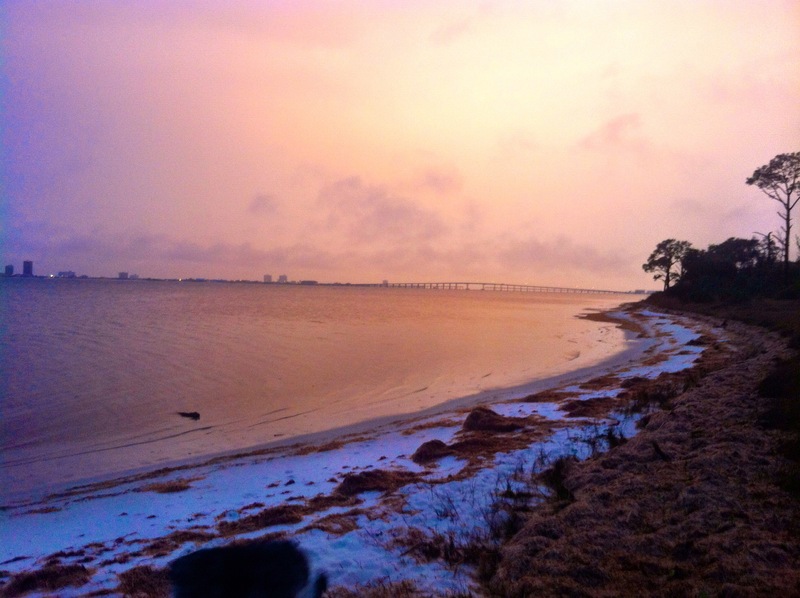 Waking up early to get to Gulf Island National Seashore was my days top mission. As I was walking along the beach with the pup I was secretly looking for a sand dollar. 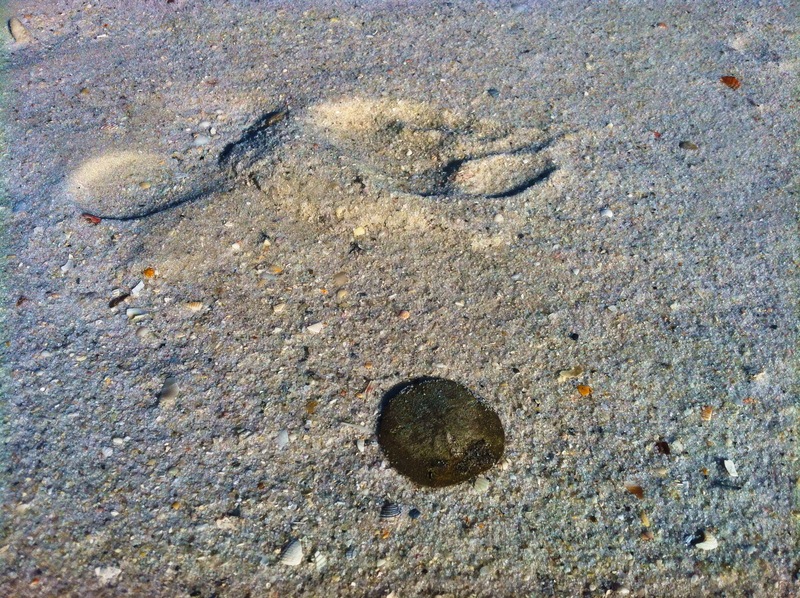 Complete sand dollars are difficult to find but my mom would always walk the beach looking for some. Only seeing seashells Jayden lead me off the path of where the tide had left most of the good treasures. Following him I noticed what looked like a half broken sand dollar, but after I brushed away the sand I found it to be complete! To me the sunset and sand dollar are just signs that my journey is headed on the right path. After 3 months on the road there are two morals of this journey. Rain or shine we can always find true beauty everywhere. And, break the flow of normalcy and get off the beaten trail!